Planst du einen Trip nach Seattle? The traditional mac & cheese is so good. I stopped off here and ate it, then had to buy some cheese after. The cheese was so good my family stole it from me once I got back to California. 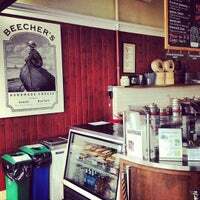 Located near all of the action in Pike Place Market, Beecher's is a must go. You can watch the Cheesemongers in action and enjoy a fresh cup of mac and cheese or a tasty grilled cheese! Get a grilled cheese and macaroni and cheese to eat while you pick out your cheese selection to take home. The Reserved cheese is fab. Street food at its best. Simple, tasty and hot! 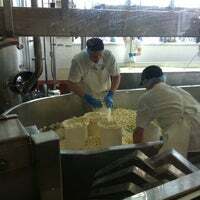 Plus you can see the guys make the cheese curds right there in front of you. Very good. 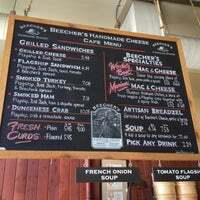 Located in Pike Place Market, Beecher's is a must go. 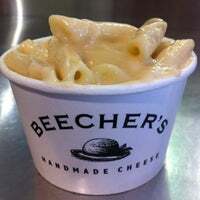 Watch the Cheesemongers in action, sample some cheese and enjoy a fresh cup of mac and cheese or a tasty grilled cheese. The mac & cheese and a breadzel is the way to go. Absolutely delicious. Lines can get long, but calls for a great experience! You can watch the process take place and enjoy delicious mac & cheese and tomato soup right then and there. 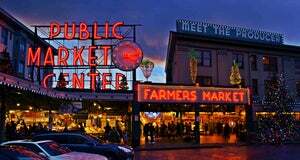 Stop here after Pike Place Market! 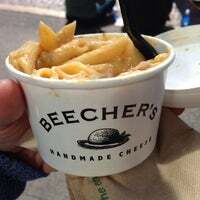 Realmente o melhor Mac&cheese é feito aqui! Muuuito cremoso e saboroso. Tô com saudades! Hahaha o grilled cheese com tomate também estava muito bom!! Apenas prove! Amazing cheese shop and (tiny) cafe in the heart of Pike Place Market. You'll love the cheese making room with 3 glass walls for your viewing pleasure. Order the mac and cheese! 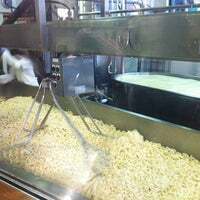 Order some Mac and cheese then sit at the bench behind you and watch the cheese making process while you eat. Crab Grilled Cheese & Tomato Soup. Need I say more? 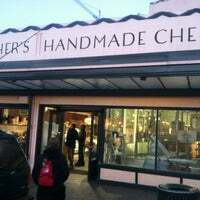 If you're in Pike Place, you also get to see the cheese get made in front of you! Best Mac & Cheese you'll ever have. 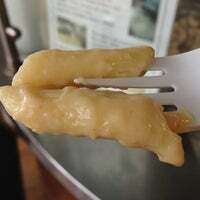 If you not really hungry, get a "Breadzle". I you're awesomely hungry, get Mac & Cheese, a Breadzle, and tomato soup. Cheese curds are excellent. Get a tub to take with you. Free samples. Love this place... seems like it is straight out of Wisconsin. Honestly the best Mac and cheese I've ever had. Not much seating room but you can grab a bowl to go and sit by the water a block away. The "No Woman" cheese includes Jamaican Jerk spices & burnt sugar! A very cool place to hang your hat! 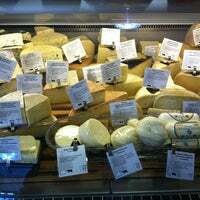 Dive in & enjoy an adventure in artisanal cheese making & sampling! Try the cheese curds too! Los macarrones con queso están muy buenos :) tienen que probarlos! Mac-n-cheese is a must! French onion soup & Dungeness crab sandwich are also very delish. Also try the cheese curd samples. Yes, the mac 'n cheese is AMAZING. Try it with a breadzel if you need to balance out some of the creaminess or even if you don't! 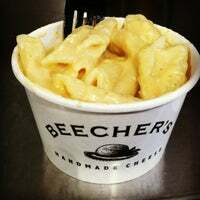 What else can I say other than to agree that they have some of the best Mac and cheese ever! Mix the regular and the Mariachi Mac and cheese, and thank me later. Grab a pint of cheese curds and pull up a milk jug stool by the window to watch the mad cheese scientists at work. Try some cheese samples and get the flagship grilled cheese sandwich. So cheesy and perfectly crusty. Cheese samples! Their most famous cheese is amazing. Delicious local cheese! You can also buy your kit for preparing your own cheese at home. I imagine everything here is super tasty! At least their sandwich and mac and cheese was superb! Try the Mariachi mac and cheese for a change. And yes, their mac and cheese is unbelievably good! Earlier I watched as they stirred the (whey?) and now I watch as they chop up the pieces...whilst eating dish mac&cheese. 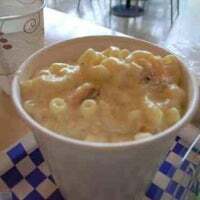 Order a cup of Mac n cheese and a grilled cheese sandwich to go with. The Mac n cheese is awesome. 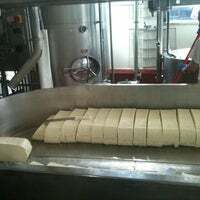 And depending on th time of day, you can watch fresh cheese making in action!! I love their squeaky cheese and the fact that you can watch them make it makes it better! Must get the grilled cheese. 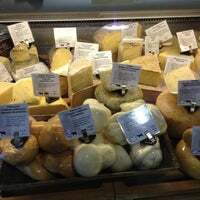 Amazing selection such as Cowgirl Creamery and Vermont Creamery. Pretty good Mac and cheese! 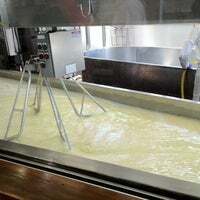 If you sit at the bar you can watch them make the cheese. People say they have the best Mac' & Cheese and grilled cheese sandwiches in the world...it's true. Every last bit of it. Get the Mac and Cheese! It's so rich. The Flagsheep cheese is incredible but can be pricy. Go for the quarter pound. Mac and cheese is out of this world! Watching the cheese get made is mesmerizing. Get some Mac and cheese while you're at it! The smoked ham panini is literally the greatest ham and cheese sandwich I've ever had... Spectacular. The tomato soup is amazing too. Mac and cheese, all the way. If you have a problem with the possibility of having a food coma, only get the small size. Flagship sandwich is a must. I drool thinking about the cheese here it's so damn good. 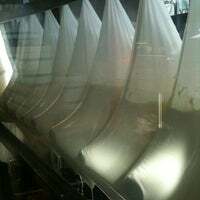 In Seattle's historic Pike Place Market, visitors press their noses against the windows to witness a vat of creamy white milk transformed by the expert hands of the cheesemaker. "Yummy! Lovin Starbucks caffeine energy"
"Vegetarians should get the cheddar cheese and garlic roll! So good and the flavors are evenly distributed!" "Fun. Fishmongers are entertaining. Lots of free samples - crab, produce, pasta, Chukar Cherry candies. Don't forget Post Alley too." "Tom Douglas choice Best Cheese: My favorite soft cheese is a Mount Townsend Seastack." "Sehr spannender Markt. Es gibt immer etwas cooles zu entdecken. Natürlich überlaufen von Touristen!" "The lobster (roll) was so fresh; Tender! 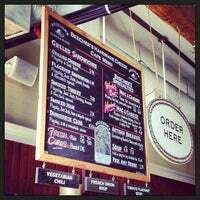 The chowders are soooo good: seared scallop, seafood bisque, & smoked salmon!" "Perfect coffee and divine pastries. Excellent customer service."